First i want to say that i really LOVE your software and it helping me so much by doing my sweet real home. 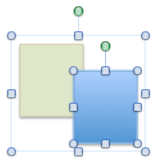 Now about the feature that i would like to use it in the software is to edit the objects inside a group. When i group lets say lights with furniture or what ever else, i am obliged to ungroup it to modify the intensity of lights. Even if a group of lights only, i should ungroup it to modify lights. So please again if the objects inside a group can be modified individually, this can help so much. Once the item you want to change is selected, you may change it location, size and rotation with the mouse, and other parameters like color with other tools. 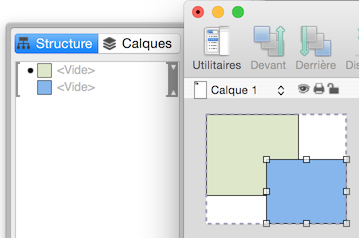 Once the item you want to change is selected, OmniGraffle lets you resize it with the mouse but not move or rotate it (you can still edit its location and angle with a separate dialog). MS Word doesn't propose a list of the drawings you made, so there's no problem about how to select and display a selected item in a group shown in a list. I don't like too much this lack of synchronization in selection feedback between the main window and the list of drawings, because it feels a little buggy. As you can see, this isn't as simple as it looks like, but I'm willing to improve Sweet Home 3D on this point. Please, don't hesitate to make suggestions now to choose the best solution (and the simplest to program), and later to give some feedback about this feature if it appears to ensure I didn't forget some weird cases. This workaround makes use of the fact that an item copied to another level appears in exactly the same position as the original. I can think of several other improvements that (in my view) deserve priority. the workaround works, but is not perfect if you want to place parts of group relative to other furniture/walls etc + you have to rename the group every time you group it. I propose that editing inside group would internally ungroup the furniture and after editing is finished it would regroup it again preserving the original name. storm88, it's not how to program the change of an item that bothers me, but rather ergonomics, to ensure that all users will be able to handle the selection of an item in a group nicely. I wished that you could guess it from the long message I posted this morning. Anyway thank you for you effort. I know that a small modification needs a lot of developments from your side. if this feature can be done in the future or no the software still great for me.